Magical Messes: May Pep Rally with Clique Kits! Hi everyone! Welcome to the May Pep Rally blog hop using the Carnival kit from Clique Kits! Today I have two fun layouts to share with you. I love the colors in the new Amy Tangerine collection that is included in the kit! For this layout, I used a cut file for my background. Isn't my Mama the prettiest? For the next layout, I cut out the circle pattern from my favorite sheet of paper in the kit! It made a fun and unique background. I hope these layouts inspired you to dive into your BEAUTIFUL May kit! Next on this blog hop is Sandy! Stop by the Clique Kits blog for the whole list of participants :) Have a fantastic day! I LOVE all those beautiful flowers!! Very pretty layouts! Your layouts are both so cute!!! Awesome layouts Allie! and congrats to you on your barista championship! I'm loving the white mixed in with the kraft and the colors... those circles and that cut file... AWESOME! TFS!! Very creative and fun pages!! Wow!! These are amazing Allie! 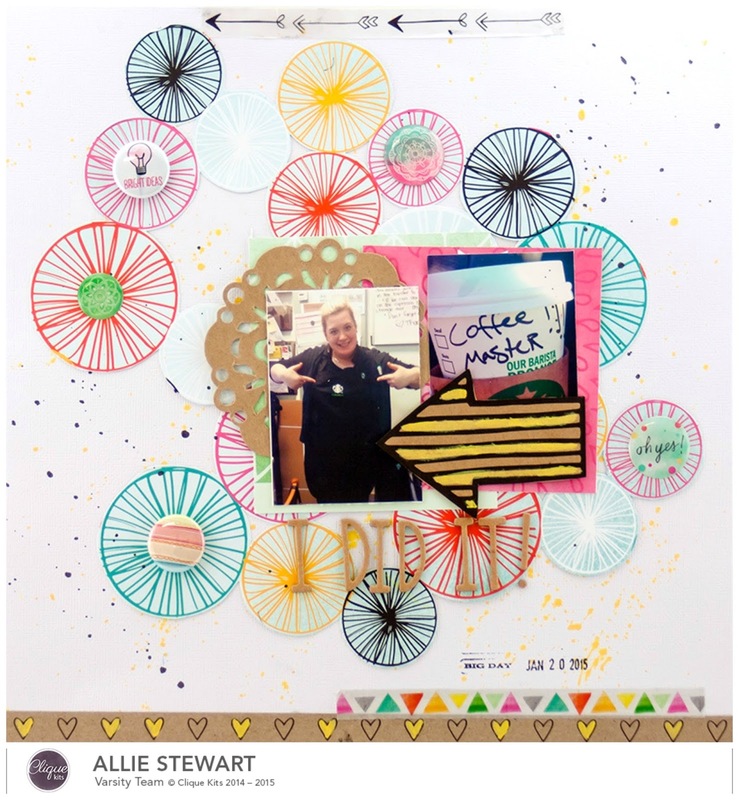 I love the backgrounds you created with the die cut and fussy cut circles! So fun Allie! 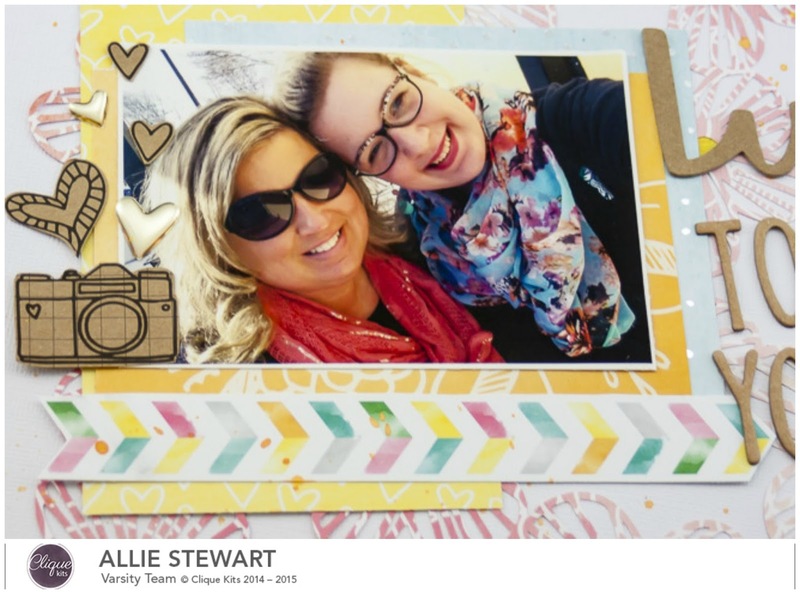 Love your layouts and all the energy that you capture in them! beautiful and colorful layouts, allie! 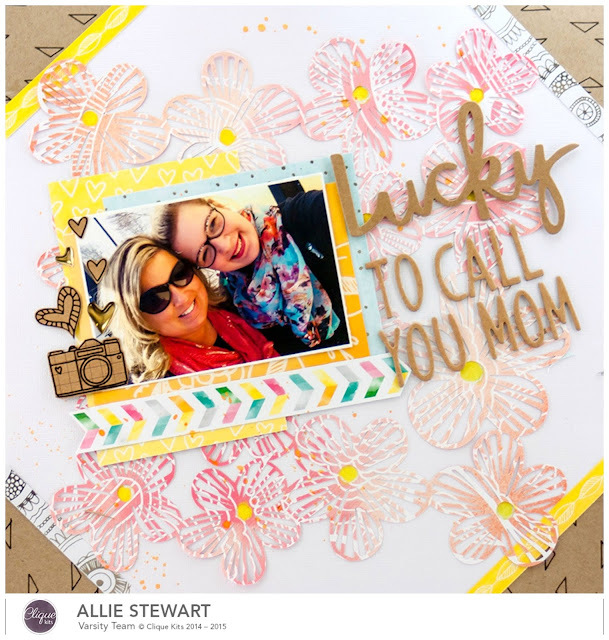 Love the cut file you used in the first layout and I'm loving the fussy cutting background in the second!! fab layouts girl! Love both of your layouts. love your layouts - they are so bright and colorful! love the cut file on that first one!